The Country Music Awards on Wednesday, Nov. 1, was a night to celebrate the greatest talent that country music has to offer, and it should come as no surprise that Dolly Parton was awarded with the Willie Nelson Lifetime Achievement Award — what was a surprise was her speech, or lack thereof. The presentation was really quite remarkable: Lily Tomlin shared a beautiful speech about how Parton is “one of the greatest artists in the history of country music,” and then a string of country music stars — including Jennifer Nettles and Pentatonix, Reba McEntire, Kacey Musgraves, Carrie Underwood and Martina McBride — paid tribute to Parton by singing several of her greatest hits. But the truly memorable moment, unfortunately for all the wrong reasons, was when Parton thanked everyone for the accolade. “What a tribute. This was so touching. I would have cried but I didn’t want to mess up my eyelashes…” she began, adding, “This is such a great compliment. This is a wonderful, wonderful night for me so thank you for all of that.” She went on to joke about how receiving the Willie Nelson award was an “absolute high” and that she just wanted to “thank all my fans and everybody for letting my little girl dreams come true.” And then she got cut off because the producers of the show wouldn’t let her give the big speech she had planned. Hold up. Parton just won a Lifetime Achievement Award and they couldn’t even give her another minute to give a proper speech? Twitter has been abuzz with reactions to Parton’s speech being cut short, and it’s clear that a lot of people are unimpressed. We’re sorry, but someone clearly messed up last night, big-time! 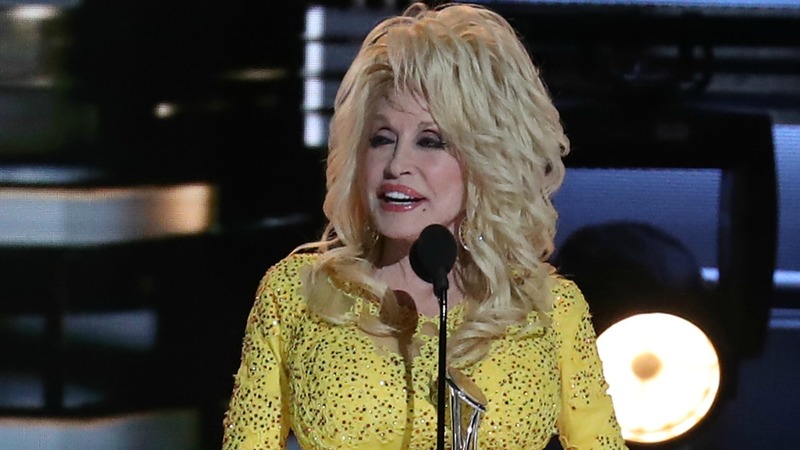 What do you think about Dolly Parton’s speech being cut short? Did the CMAs mess up? Share your thoughts in the comments below.